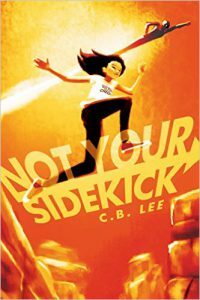 Not Your Sidekick is the story of Jess, a girl born to superhero parents, whose older sister is set to become a superhero too and whose younger brother is intellectually brilliant. She, on the other hand, has no powers and feels that she’s not enough for her family’s legacy. When she gets offered an internship and discovers she’ll be working for her parents’ nemeses, she decides to go for it. However, the job is not what she expected, the villains aren’t exactly evil, and there’s a lot more going on with the battle between heroes and villains than she’d have ever guessed. The story plays with superhero tropes around powers and secret identities, while simultaneously telling the coming of age story of a teenager trying to figure out who she is in relation to her family. As a character, Jess is relatable. She goes through a lot of very normal things, dealing with school and friends and a crush on her fellow intern. Even in a world of superpowers, Jess is a very human character. She’s also the child of immigrants, and this plays nicely into the story of her figuring out who she is. She doesn’t want to ignore the heritage of where her parents come from, but she also needs to fit in the society she lives in now. There are other interesting characters as well. While Jess is the main character, she has interactions with friends, family and strangers. 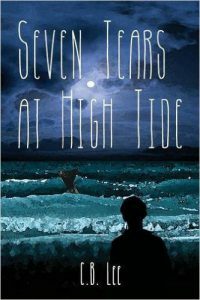 The interplay between the different characters gives the impression of a rich, full world. The only thing that I feel let this book down was that it didn’t really surprise me. In a story of superheroes, a lot of the characters who are introduced also have secret identities and these were sign-posted so much that they might as well have been shining in six-foot neon letters. The identities of various heroes were obvious. There was also a key relationship between a major character and the villains that could be seen coming from miles off. Key plot points were predictable. There was nothing subtle about the hints. There was only one detail of a plot twist in the whole book that came close to surprising me, but I won’t spoil that surprise now. Not Your Sidekick does well from a diversity standpoint. Jess is an Asian bisexual, one of her friends is trans, and there is good representation from both a racial and LGBT+ perspective among the other characters. This representation feels genuine and it adds layers to Jess’s character and the overall theme of coming to terms with who you are. I did enjoy the book. I liked the characters and the story, and there were some entertaining interactions between Jess and some of the other characters, I just wish it could have surprised me a bit more. If you enjoy superhero stories and what a quick read, you’ll probably have fun with this one. It’s probably a good book for younger readers, who might be less familiar with some of the tropes and who might therefore get a bit more surprised than I was. Three and a half stars.